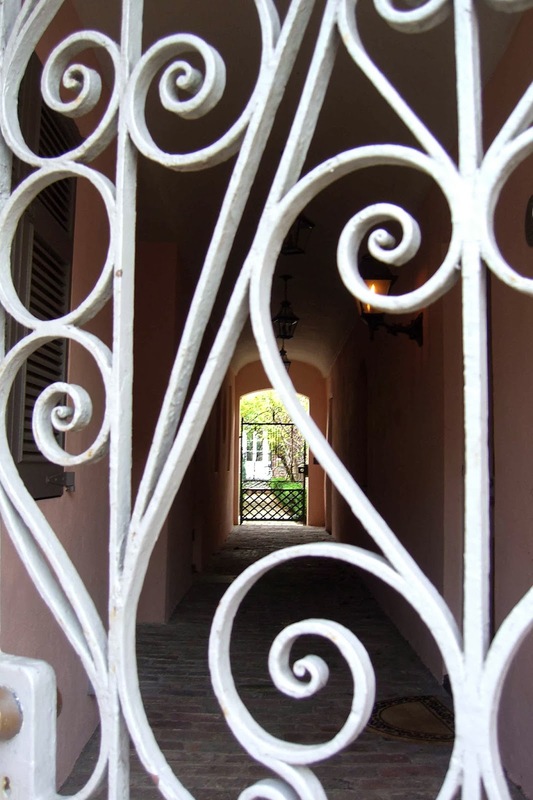 The iron gate, with its unfurlings of crisp white spirals, caught my attention first. Beyond the gate, an arched passageway led to another gate and then a door. Such an inviting scene...Who lives there? Arriving home would be a little adventure every day. I love a place with a sense of mystery.